The Palominas Fire District would like to share this video with everyone to explain why we are working so hard to ensure we have a close working relationship with our neighboring partners. While this video focuses on Southern California’s partnerships, we would still like to share it because it demonstrates our local training model as well. 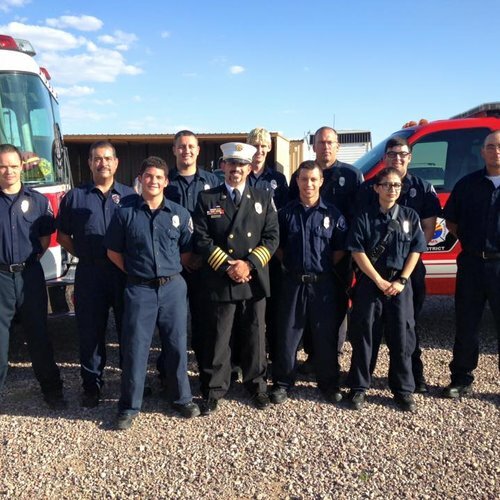 The Palominas Fire District has partnered with Fry Fire, Sierra Vista Fire-Medical, and Fort Huachuca Fire to form a Regional Training Partnership. This Regional Training Partnership means we train together, we train as one, and we train to better serve not only our own communities, but also our neighbor’s as well. Learn how valley fire departments work together in their response to emergencies. Partnering agencies include Superstition Fire and Medical District, Gilbert Fire and Rescue Department, Queen Creek Fire and Medical Department and Mesa Fire and Medical Department. The system provides the absolutely closest appropriate unit to any given emergency regardless of city or county borders. The Palominas Fire District provides many training opportunities to the PFD personnel as well as many surrounding public safety agencies. The Palominas Fire District operates a 4 acre training facility which includes a classroom, confined space rescue prop, entanglement prop, roof prop, high angle rescue prop, 3 story live fire training building, as well as vehicle fire props and vehicle extrication props. NWCG S130, S190, S133, S131, S211, and many more. 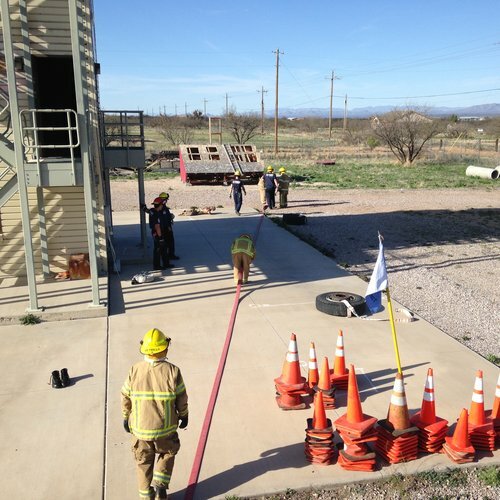 The Palominas Fire District Training Facility is available for use to local public safety agencies. The Palominas Fire District Fire & EMS Training Academy is designed to deliver training and education in Fire & EMS. We offer EMT Courses, Fire Academies, Wildland Courses, Officer Development Courses, and Driver Operator Courses. 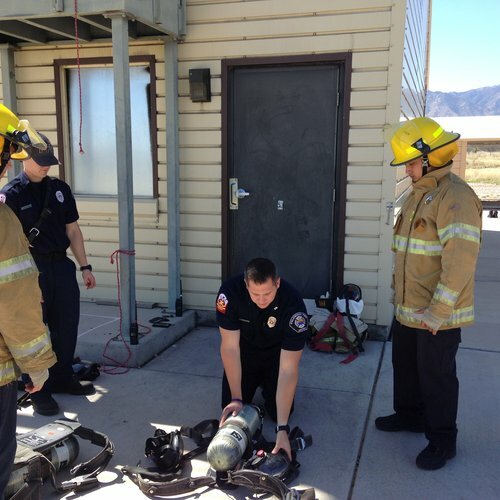 The Palominas Fire District hosts EMT Courses at the PFD Training Center. Courses are 5 months long. Classes meet every Wednesday night and Saturday. Academy 16-01: 100% pass rate for course & 100% pass rate (1st attempt) for NREMT Exams. The Palominas Fire District hosts the Joint Training Academy for Firefighter I & II as well as ProBoard Hazmat Operations. The Academy is 2 1/2 months long. Classes are Wednesday nights and all day Saturday. 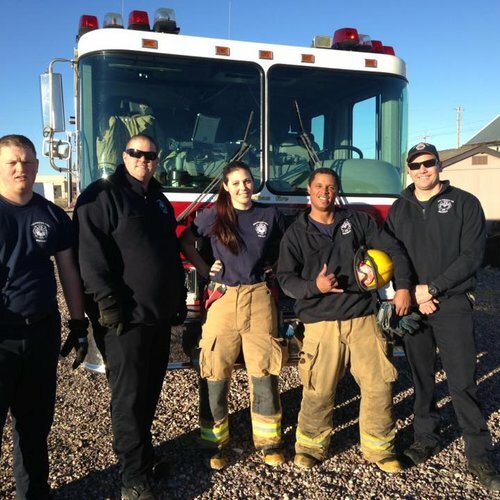 If you are interested in taking a Fire or EMS Class, please send an email requesting information to training@palominasfire.com or call 520-803-9919. Scheduled to begin in January 18th, 2017 (Wed nights from 6-10pm & Saturday from 8am-5pm). Course is scheduled to end April 30th, 2017. Proof of 9th grade reading level – students may take a reading assessment test at any local community college. Must be affiliated with a Public Safety Agency. Email: steve.lepore@palominasfire.com for more info on the EMT Programs. Scheduled to begin on January 21st, 2017. Email: training@palominasfire.com for more info if needed. Agency Contact Name & Title (List your agency's point of contact or training officer)- enter NONE if you are not affiliated with an agency. Yes, I agree to the terms & conditions	No, I do not agree to the terms & conditions.